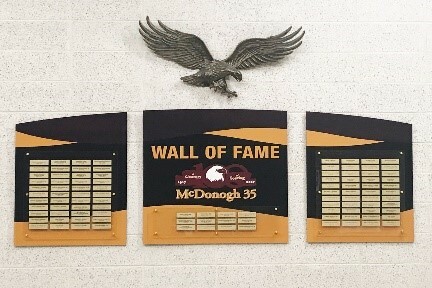 Our firm’s managing partner was recently inducted as a member of the prestigious McDonogh 35 Senior High School Alumni Wall of Fame. The School recently celebrated its 100th year anniversary. Other honorees included Senator Wesley Bishop, City Councilman Jared Brossett, Police Chief Michael Harrison and a host of business and community leaders. 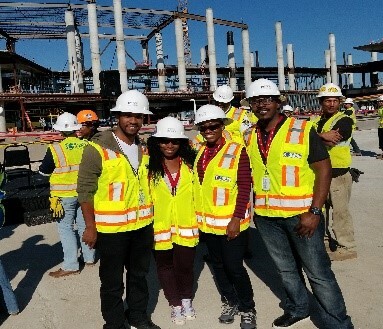 Our team is tasked with the critical role of providing financial reporting and consulting support services to the New Orleans Aviation Board’s new airport terminal construction project. Luther Speight & Company CPAs in coordination with Bishop Edward Stephens, Jr and Golden Gate Cathedral of Memphis announced the establishment of an Annual Scholarship Program that will award a four-year, $20,000 college scholarship for a deserving Accounting Student. Numerous qualified applications were received and evaluated by the Golden Gate Cathedral Team and we are pleased to announce the scholarship was awarded to Ms. Jada Watson. She is an incoming freshman accounting major at the University of Memphis. Luther Speight & Company CPAs in coordination with Bishop Edward Stephens, Jr and Golden Gate Cathedral of Memphis announced the renewal of the Annual Scholarship Program that awards a four-year, $20,000 college scholarship for a deserving Accounting Student. Our firm established the scholarship program in 2017 as a part of our continuing committment to expanding educational opportunities to minority accounting students. We look forward to working with the Golden Gate Ministries Team in expanding the scholarship program in the future. © 2019 Luther Speight & Company All Rights Reserved.